A pixel density of above 300 PPI is regarded to be ample for any type of content to look sharp on a smartphone display. A Full HD resolution caters to a wide range of display sizes, as it offers above 300 PPI pixel density to even displays up to 7 inches screen size. Most smartphones nowadays can record videos up to Full HD resolution; most YouTube videos also max-out at Full HD resolution. When you watch a Full HD video on a Full HD resolution screen, you can get the best experience. So if you are looking for a smartphone with a Full HD resolution display, you are on the right path. We have compiled this list to make it easier for you to explore smartphones with Full HD resolution displays across all brands and price segments. 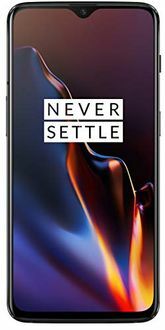 The online prices of full HD smartphones shown in the price list above will be accurate only if you are ordering from a major Indian city such as Mumbai, Bangalore, Chennai, Pune, Kolkata, Hyderabad, or Delhi since the tax rates are consistent in these cities. However, there might be a slight variation in the prices of full HD phones in some towns and cities depending on the degree of variation in tax rates. Samsung will launch its first quadruple camera phone, Samsung Galaxy A9 (2018) in November as per media reports. The phone will be available in India in two storage variants with a starting price of INR 39,000. The color options would be Bubblegum Pink, Caviar Black and Lemonade Blue, with the first and last featuring a gradient pattern.